Middle-earth abounds in characters both creepy and gruesome; Gollum, Shelob, trolls and orcs. 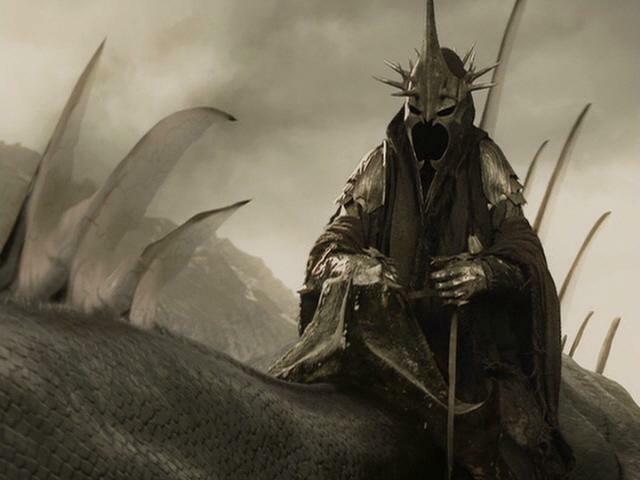 But, arguably, none inspire the shivers quite like the Nazgûl. Yet as Gandalf points out, the power of the One Ring has made them utterly bereft of any power to resist Sauron’s commands. If as Gandalf says, we should “pity even his slaves”, then should we not pity the Ringwraiths most of all? Join us in The Hall of Fire (in #thehalloffire live on our chat server irc.theonering.net) this Saturday at 6pm EDT as we look at The Nazgûl — masters and slaves.